31 weeks pregnant now, so we're in the home stretch! For real, though, mexican style food is all I want to eat - that and salads. Thank goodness for some balance! I can't get enough cheese in my life, or enough crispy cold lettuce in my life. I'm forever grateful, honestly, that my sleeve keeps the eating a bit in check. I'm trying to be very mindful of getting proper nutrition, but even when it comes to vegetables, I feel I could easily go overboard if not for the restriction I feel. I've gained 12 pounds in pregnancy so far. 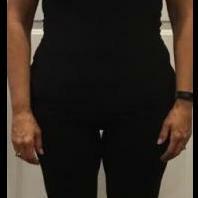 Its very disconcerting to see the scale go back up after fighting for the losses for the last year, but I'm trying to focus on what's healthy for us both! I have an issue called symphasis pubis dysfunction - the damn hormones that relax and widen everything are causing me to have a ton of pain when walking because my pelvis is essentially shearing So I know some of that gain, beyond a big ol' baby and amniotic fluid, is the fact I'm not moving much. I'm currently restricted to being on my feet 4 hours a day at work. I can't wait to have this kiddo and eventually get back to walking and hiking! I go for another baby growth scan in a couple weeks, and am crossing my fingers she didn't take my encouragement to grow to add another 20% to her percentile again! You ( both!) look FABULOUS!!! You know that “glow” they speak of? You. Got. It. !!!! I think you are right on line w/ your weight gain and growth, and as soon as she’s born you can get back to walking etc. (pushing a stroller!) I had the same thing w/ my pelvis....and ouch is all i can say! My daughter had the same thing too. I was glad for those hormones and the stretching and opening of my pelvis when it came time to getting a big baby out but darn, those few months before were a killer. Cheese and cold lettuce sound amazing (and I am not pg! )...and really so much better than chocolate cake and pizza! glad your sleeve is in place and working for you and helping you not gain 50# with the pg!!!! You are really set up for success! You look amazing! So glad your sleeve and pregnancy are working out well for you both. Healthy mama is a great thing to be! Congrats and I hope the home stretch goes well for you. Pregnancy agrees with you delilas - you're looking absolutely gorgeous. You look absolutely stunning!!! Thanks so much for posting! You have been doing SO well. Congrats on the wonderful achievement in the great health of you and your baby! Love it! @delilas, you look just beautiful! I’m so thrilled to hear that you and baby are thriving!! Thanks for being my reminder to come back! 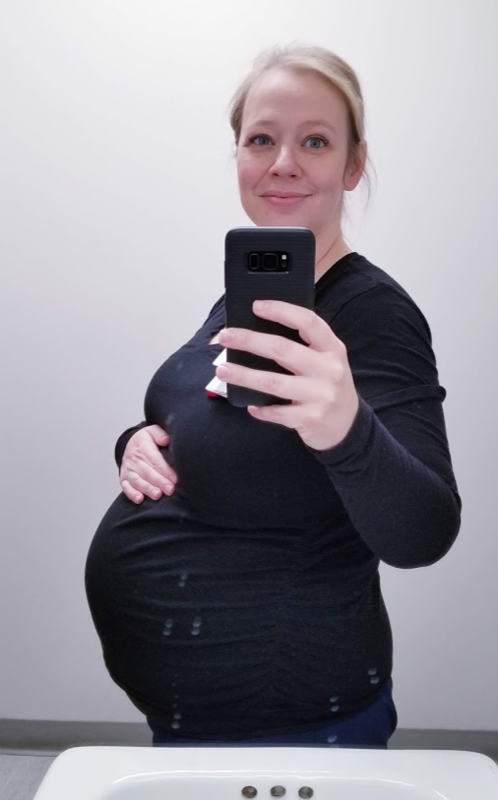 I'm 37 weeks this week, just finished at the docs, where this girls heart rate is spot on and everything is starting to progress....which is terrifying and also awesome. Right at 20 pounds of gain right now, and while my doctor is very happy with it, it's been a hell of a mental struggle the last few weeks to see it sliding up a pound a week. Especially when suddenly I am actually craving all the healthiest of things. My diet is actually pretty good now that the crazy cravings have subsided and my biggest desires are for fresh fruit. I know the weight gain is all in the mindset of good things, but I'm ready to be able to be back to my "normal." I spoke to my bari office and they said they'd be happy to have me in to see a nutritionist after birth to try to figure out how to rebalance what I need with what baby needs with where I should be post op. 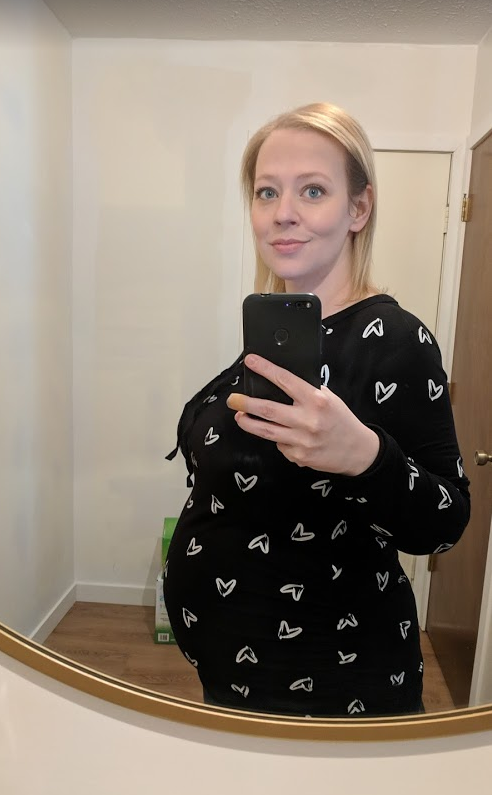 Which is great, because now that I'm in full on waddling mode, I'm chomping at the bit to be back on the path of weight loss, and while I"m forever and forever grateful for this miracle baby, I can't help but think sometimes that I could easily be at my goal weight by now! My coworkers are the biggest sweethearts and actually went in together on a stroller/carseat combo that's actually pretty wonderful, and I plan on getting a zoo membership as well this summer, to give me another place to get out and walk (our zoo is HUGE, I've never actually managed to walk through the whole thing). Also got a ring sling and ergo carrier to try out some baby wearing on some of my favorite low-key trails in the area, because I desperately miss hiking right now. Cross your fingers for me, I'm praying I won't go until my due date or beyond - I'm ready for this girl to be here and for us to get on with our adventures! Post babies pictures when she arrives! Good luck, hope all goes well!